For the past 15 years, mobility has been a top priority for employers, employees, students and all kind of people. Having more and more in your portable phone or "smartphone" is a priority and being able to work while on a plane, bus or taxi is a must. Is not uncommon to see people in all kind of clothes open a portable computer on an airplane and start writing numbers and making graphics on a spreadsheet or fine-tunning a slide presentation. This article is meant to serve as a guide for people to make the right decision when purchasing a new portable computer. It is aimed to both the consumer market (students, wifes, husbands, kids and even grandparents) and the corporate/IT sector, wherever desktop computers and workstations are being replaced by these smaller screens with a keyboard. Note: In the following, I will present a mix of opinions and hard-earned knowledge. Not everyone will agree with all of my suggestions, but I do hope that at least some of the following will be useful to you! This article will focus on three main aspects: Need, Budget & Useful Life. Each of these aspects will be discussed in every category: Home Use, Students, Office Work & Power Users. For all Windows-based systems (or PCs) the OS of choice is Windows 7. Period. I will assume you are familiar with some of the terms I've used in this article like RAM memory or CPU. If you don't, it's OK! Don't worry about it. Just keep reading and you will find a concrete recommendation under the Conclusion of each category. Note: I will use www.newegg.com to show example systems and components as it has the biggest database of computing hardware I know of. If you live outside North America, you can find these products in your local stores. 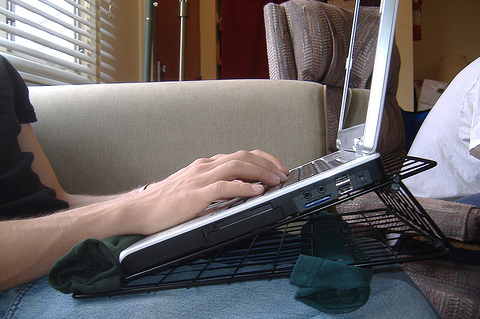 A Home User is the most basic type of computer user. Don't get me wrong, home users can open many large applications at the same time, some of them being very resource-intensive. The difference between this type of user and the rest, is that applications usually don't require extreme components like the latest graphics card or a huge amount of memory. Consider what your needs are. In this case, a home user typically needs to browse the Internet, read and write office documents and talk to friends or family overseas using either text, voice, video or a combination of them all. Let's not forget about the family trips photos and videos! A system with these requirements is not necessarily a portable computer. It could be a desktop system as well. The only advantages of having a portable computer at home is that you already have everything in one place (usually including a video camera too!) and the possibility of taking the computer with you on a family trip so you don't loose contact with your family for two weeks. Most hotels now in the world have a pretty decent Internet connection available (which usually, but not always, comes for free with your room). It also works to free the memory of your digital cameras, by letting you download all the pictures and video taken from them and into the computer. Must do question: PC or MAC? If you do decide to purchase a portable computer for your home well, good for you! The only trick here is not to spend a fortune for something that could have cost a lot less. Nowadays, a good system suitable for the use specified above, goes between $400 and $900. Where you decide to shop for this, being in a shop or on-line is up to you. Just remember what you need: an integrated webcam (is way more conformable than having a separate one), both a wired and a wireless connection and a built-in microphone. If you decide to purchase a computer with no webcam and/or no microphone, remember to purchase a webcam with a built-in microphone in it and a carrying case. A backpack will work perfectly. Also, make sure it's screen is less than 16" (inches) diagonally. That is the length from one corner to the other corner in the opposite side (across the screen). You shouldn't need more than that and a larger screen would make your computer less portable. Try also to pick one bigger than 13" or 14" as it will make everything easier to read. This is what is called a Laptop computer. It is small (and light) enough to put on your lap and work away! Once you have decided what to purchase and how much to spend, depending on the computers that caught your attention, it's time to decide on the battery. In the same range of portables computers, the price varies mostly because of the battery. If you and your family will use this computer mostly inside your house and over a desk, you can pay less by choosing a system with no more than 3 or 4 hours of operation with batteries. This applies also for when you travel with it and will be using it in your hotel room. Basically, whenever you have an electical outlet near the computer. If you plan on using it on your bed also, I can tell you by experience that the having the cable and AC transformer (which all laptops have) is very uncomfortable. In that case or when you plan on using it in both your home and on the run, then a laptop with a bigger battery is better. Normal batteries are 6-cell batteries and extended batteries are either 9-cell or 12-cell. a good computer with a 9-cell battery can go for about 5 to 7 hours without plugging it into the wall. If you already know how fast technology evolves and don't want to stick with the same computer for years until you have used all what you've paid for, then you may wan to go for the cheaper system. 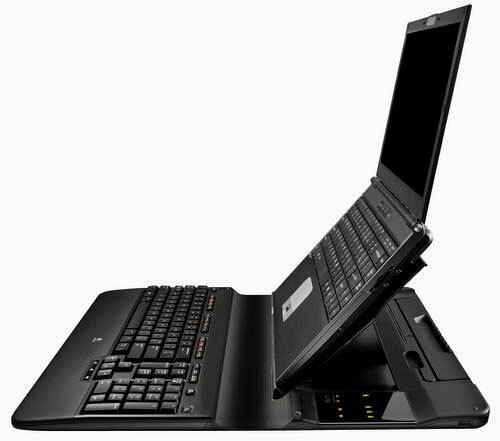 You can choose a laptop with a small battery, no webcam, no microphone, small screen. You can buy the webcam on the side and use it or many years no matter which computer you have. That way you won't cry every time you need or want a bigger, faster computer. The rule on this, pay whatever you can afford to pay once a year. That way you make sure you can replace your laptop every year. Don't worry about your new laptop not running the latest spreadsheet application not yet released. Software developers are not that fast and you will probably change your computer before a new release of your favorite office suite is out. Conclusion: Buy the least expensive laptop you can find that suits your needs. Don't spend more money buying a system extra stuff like super-fast wireless speeds, HD (High Definition) webcam for which you probably don't have the necessary Internet connection speed anyway or a Blue-Ray burner. By the way, those are used mostly to backup over 20GB of data into a single drive. Buy a separate portable Hard Disk with 160GB or more and use it for backup and transport of your files between your computers (current and future). If you (or your kids) are going away to college, the choice is not too different from the Home User. My suggestion is to buy the same system as per the above recommendations. Probably smaller (with a screen less than 14"). Anything less than this is called a Netbook and they are good for... well, not for students or anything really. Ideally, an integrated webcam is best. Of course you could also buy a Laptop but also a Laptop with a twist. The needs of a student are clear: Write a lot and read a lot more. This might sound strange when talking about smaller-than-usual screen sizes but the truth is that every word-processing application is well-readable in every screen bigger than 12" and normal letter size (10 pixels and up). The problem might come with PDF e-books where the text is way too small and zooming in would mean to have to scroll the page from left to right at every line. That's madness! Anyway, in my opinion, 12" to 14" is enough. Just remember that bigger is heavier and this is a system you will have to carry around all day long. Again, it's up to you. If your career is something in the letters, philosophy or alike, there's no much I can say. it's up to your liking and budget but if you are studying any engineering career, Mac would be your best choice as it can run both the Mac OS and Windows and obviously Linux, while a PC will tie you to Windows and/or Linux only. Same story. Maybe you will need more power (that is more battery) so you can work anywhere in the campus but that's all there is to it. Take the same suggestions from above but this time purchase the one (in the selected range) with the bigger battery. You can usually find a version of that computer with a anti-glare screen that will make you very happy while reading something in plain daylight. Be careful not to choose any more "extras" than these. Right now we are talking about the same computer your mom and dad bought but $200 more expensive! Don't worry about this too much. I'll bet you will have the same computer until you graduate! Again, don't take me wrong. Usually students won't need a faster computer that the one that $700 can purchase today. And please don't ever tell your parents that you need a faster computer to write faster! That usually translates to "Mom, my friend Susan has a better looking computer" and is not the point here. Conclusion: $700 or $800 can give you a very decent computer for school. Make sure to also buy a pair of headphones with a microphone so your roommate doesn't hear what your parents say when you video chat with them and that's it! Say you work from home and have to buy your own computer. Let's make it portable you say. Well if that's your case, you are an Office Worker. You need both power and stability along with good storage. If the decision is not yours, then it's your company IT department who's in charge of making that decision. Anyway the needs will be the same. Depending on what applications you have to work with, components and storage are the top questions here. Going back to the Home Users example, if you work with Office applications (word processors, spreadsheets, presentations, etc.) and the occasional e-mail, then your needs are not different in power and speed, but maybe (and this is very common) you or your company employees need lots of disk space. These days, purchasing a Laptop with 320GB of space is not much cheaper than buying one with 500GB. Throw in 4GB of RAM memory and an Intel i5 CPU and you have a $1200 ~ $1600 system in your hands. Of course that number gets smaller if your company buys 200 of these systems at once. Neat huh? This stand comes with its own keyboard and 3 extra USB 2.0 ports. Just plug in a mouse and you are all set! If you work from home, remember to purchase something like this for your birthday. Not much field to argue here. Unless your company works specifically with Mac, the standard is PC. Conclusion: Spend lots of money... within your range of course. Go crazy on components that you know you or your company needs. Maybe extra RAM, lots of storage, great video or all of them! If these systems are for work, they're going to make money for you. Just one word of caution: If you are buying portable systems for your employees, it means that they are going to be on the road lots of time or at least going back and forth between your different offices or client offices. Try to go for a lightweight model. If you can, see what you are buying with your own eyes before sending the check. Nobody will be comfortable with a 3 pounds brick-sized AC adapter. So, you enjoy getting online with your guild in a 10 hour long WoW raid? Maybe you love the rush of firing 1 billion bullets a second in Bad Company 2? No problem, you are not sick. You are just a gamer. Wait, you don't do any of these things but instead, you have to render 1.7 kbps HD video at 60 frames per second? It doesn't really matter, you fall into the same category: The Power Users! Simply put, you need the fastest, bigger and most expense system in the market. It doesn't matter what you buy, next week something bigger, faster and better will show up and you will need that power in your hands. Well I have some bad news. Unless you are one of those rare persons that are willing to sell your laptop computer every other week and buy the newest one, you are stuck with what you buy. These days you can have almost all the power of a good custom-built PC but in a portable case. Of course you can't have a 3-way SLi or a 3-way X-Fire inside your laptop, but you can have enough to run whatever game, video or graphics application you need or want. Good question. I guess that depends on taste and above all, need. People who work with video and graphics tend to like Macs better. Applications developed for Mac are still targeting a more knowledge-mature audience, with a taste for stability and performance. Many people ask me how can this be possible when both systems are now built upon the same components? The trick resides in the software. Mac OS is build from the ground up to do X, Y, and Z while Windows is more like a "come everybody, let's get in here and see what we can build" deal. Basically, design, editing and web development goes with Mac and everything else with Windows. Are you ready for the ugly truth? If you are reading this before buying your first computer, here it is. You are going to spend the incredible amount of $2000 or more (there are systems for more than $10000). 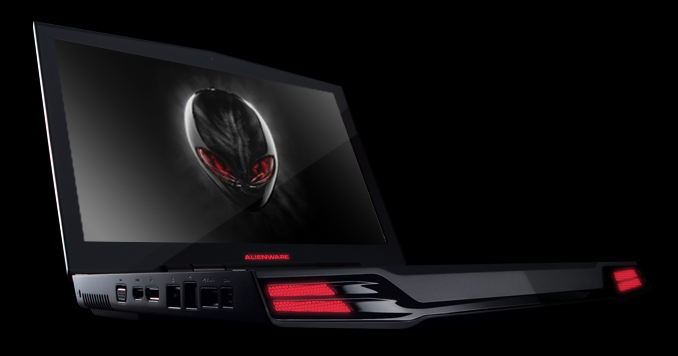 This will include one of the latest i5 or i7 Intel processors, one (or two) of he biggest portable graphics card in the market and a lot of disk space, beside the 6, 8 or 12 GB of RAM memory. Of course you can get that amount even higher if you decide to include a Blue-Ray burner, anti-glare screen, extra capacity battery and back-light for the keyboard. We are talking about a 16.5" or bigger screen with one (or two) hard disks. One of those hard disks can even be a SSD now (Solid State Drive which basically is a much more resistant flash-drive alike hard drive). Again, it's up to you. If your wallet can keep up to your taste, prepare yourself to spend $1000 or $2000 every 6 months to pay for the difference between your "old" system and the new one. Of course you could wait a couple of years until your Laptop can't run the latest games or CAD applications and then leave it as a "desktop" for your kids while you buy a new one. Conclusion: You can spend a fortune on a high-end Laptop. 30% more than the same computer in its desktop edition, but this one is... you've got it, portable! You can choose to work from home, work at the office, at a client's meeting room, in an airplane or just run your favorite game when you have an hour to kill. While nowadays everybody can own a laptop or bring home a company notebook (which, by the way, is the bigger version of a Laptop but don't worry, they are all Laptops these days), you should be somewhat careful when purchasing or using one. If you go out there on a Saturday to buy one of these babies, don't trust the seller completely. Although this article is a simple, common guide on what is out there these days, it should give you a pretty good idea on prices, specifications and common terminology used in the computing world. Again, use this guide to get a general idea on what you might need depending on how you are going to use the Laptop so you don't pay a lot of extra money for things you are never going to use. WARNING: I don't consider HP Laptops to be real "laptops". You can't use them on your lap as they will probably burn you! The heat they produce is amazing. The biggest ASUS models seem to share this too. You've been warned!